The American Debt: Causes, Consequences, and Fixes symposium was held on May 24, 2018 in honor and memory of Peter G. Peterson, who passed away on March 20, 2018. Peterson served as Chairman of the Council on Foreign Relations for twenty-two years, and was a passionate advocate for fiscal responsibility and avoiding what he believed was an unsustainable national debt. 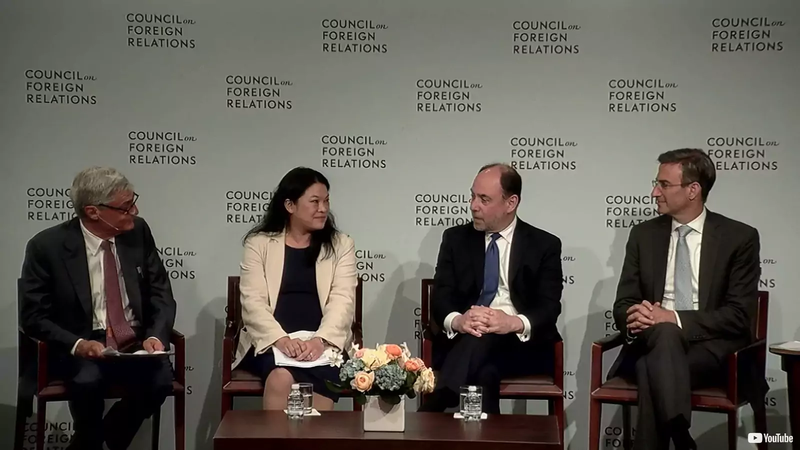 This event was underwritten by Steve and Roberta Denning and the Sage Foundation in appreciation of Peter G. Peterson and his impact on and leadership of both the Council on Foreign Relations and this country. Session 1: Twenty-One Trillion and Counting: How Did We Get Here? In the opening session of American Debt: Causes, Consequences, and Fixes, Jared Bernstein, Maya MacGuineas, and Nathan Sheets discussed with Richard Haass the scale of U.S. debt and its implications for the U.S. economy and national security. David Rubenstein gave introductory remarks. In the second session of American Debt: Causes, Consequences, and Fixes, Joyce Chang, Douglas Holtz-Eakin, and Peter Orszag spoke with Robert Rubin about solutions to address the growing U.S. deficit and to improve the fiscal future of the United States.